Connect your company bank account to pay employees or contractors and pay taxes electronically using your Online Payroll service. If you use one of our eight partner banks, you can connect your bank instantly. Other banks can be connected through our regular bank verification process. This can take up to 3 business days. 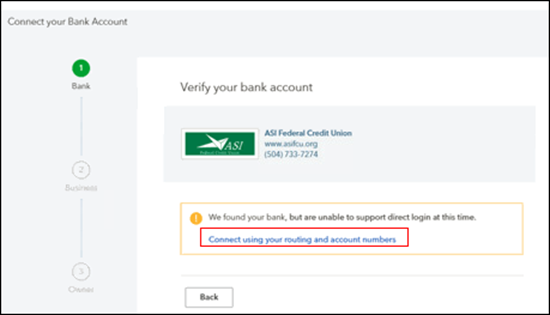 If you bank with one of our 8 partner banks, this feature allows you to instantly connect your bank account using your bank login credentials . In question How do you want to pay (employee name), select Direct deposit. 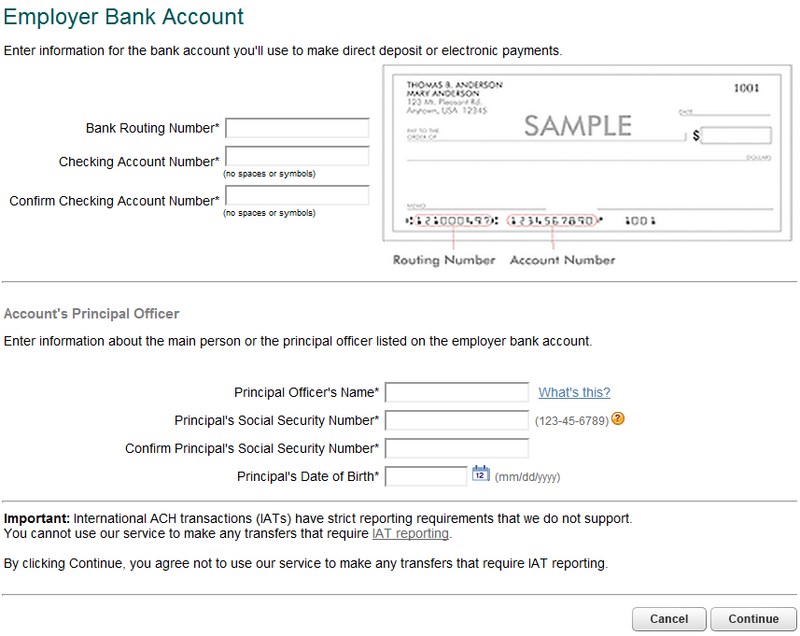 Enter account type, routing number, account number, and then confirm account number. In the window that opens, select Next to finish direct deposit setup. 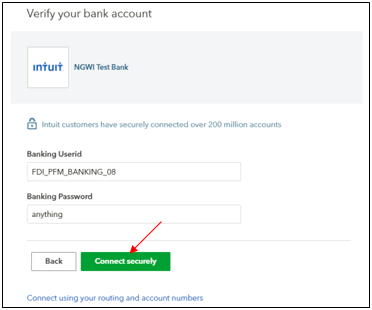 Enter Banking User ID and Banking Password, and then select Connect securely. The system will try to connect to your bank. Select the account you want to use, and then select Use this account. 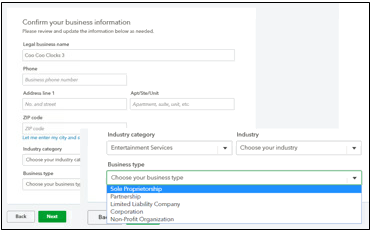 Confirm your business information and select Next. Confirm principal officer details and select Submit. A message You've successfully connected your bank account! appears. Select Done. 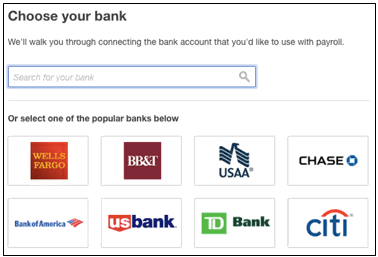 In the Connecting your bank page, search and select your bank. 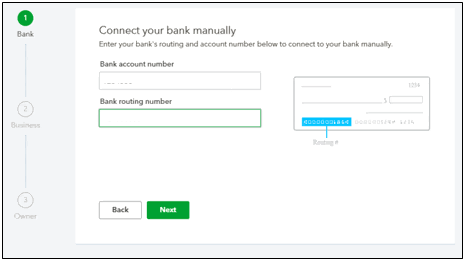 Select Connect using your routing and account numbers. 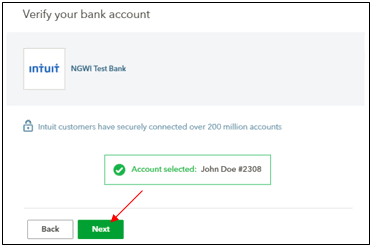 Enter your Bank account number and Bank routing number, and select Next. Verify business information and select Next. Verify principal officer details and select Submit. To fully verify your bank account information, a test transaction will appear in your bank account within 2 business days. An email will be sent for further instruction. 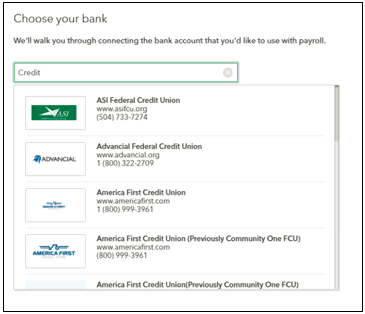 Connect your bank account to your payroll service so you can pay your employees or contractors direct deposit. If you have already entered your bank information in electronic services setup, you will see it in the Direct Deposit setup, and vice versa. You can only enter one payroll bank account. A test transaction should appear in your bank account in 2 business days. This amount should be a credit and debit for an amount less than $1.00. You can verify the amount either by checking your bank statement online or by calling your bank. 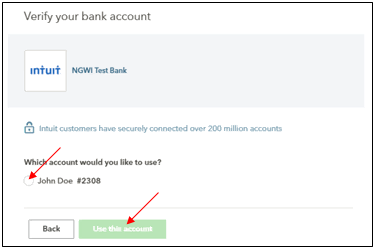 Select Confirm the amount of your test transaction to confirm the test transaction amount on your To Do tab. 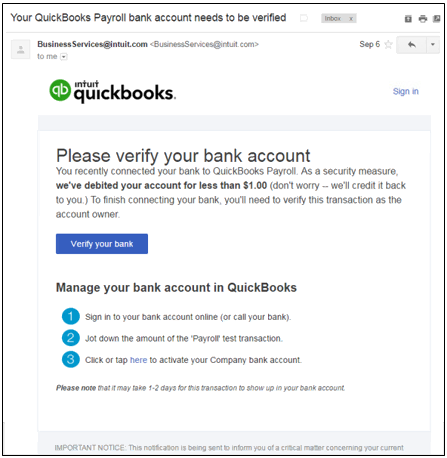 See article Verify test transaction for more information. Your account is now activated for direct deposit. What if my account still isn't active for direct deposit? You entered an invalid bank account. We weren't able to initiate the test transaction because your bank account had a zero balance. You entered an incorrect test transaction amount. Should one of these situations arise, we'll send you an email with instructions for resolving it or contact Payroll Support for assistance. How do I update my company bank information? See Change company bank account information for assistance. How do I set up my employee or contractors for direct deposit? 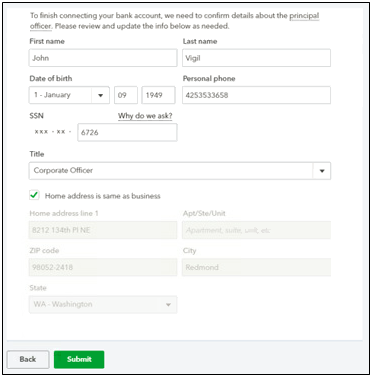 See Set up an employee for direct deposit for employees and Contractor direct deposit for QuickBooks Online Payroll and QuickBooks Full Service Payroll (US only) for contractors. See Online Payroll – Direct Deposit FAQ for more details.